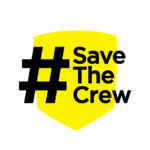 Did you know that since our inception in mid-October we’ve had over 260 Columbus-area businesses sign up to support Save The Crew and become “business allies”? The concept of the ally program is simple: to destroy the narrative that there is not support for the team in Columbus from the business community. Our allies range from mom-and-pop shops, regional brands, and even international corporations. Our network also spans a variety of industries, including food and beverage, automotive, health care, entertainment, clothing and accessories, and more. All of these allies have pledged their support for keeping Columbus Crew SC in Central Ohio and a few have gone above and beyond the call. Since the beginning of the movement, we’ve received over $2,000 in contributions from our allies. Even more money continues to be committed to help us in our efforts to keep the team in Columbus. These businesses held fundraisers, happy hours, or sold Save The Crew themed items to raise the funds. We want to give a special shout out to to Keep It Simple Socks who has been our #1 donor to date. Beyond monetary donations, we have had plenty of other help. We’ve had space donated for TIFO and events, free food at tailgates, promotional help and so much more. Below is a brief list of some of our other allies who’ve stepped up. Take a minute to thank these allies and support their businesses. Without their help we wouldn’t be where we are today, and they will all be part of us saving the Crew in 2018! Hello, I’m the GM of Ruby Tuesday 1978 Summit St, the original soccer bar near campus and the launching point of The Hudson Street Hooligans! I’d would like to get Ruby’s on your list of local businesses that support #savethecrew. Please feel free to contact me on how we can get on board and support our club.